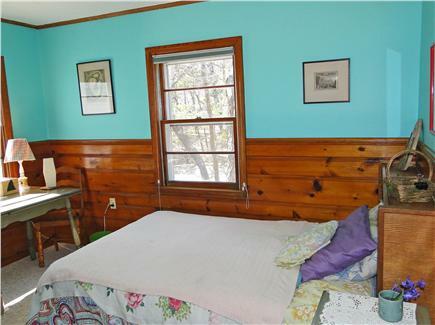 This 3 bedroom 1.5 bathroom rustic Cape cottage is located on a scenic drive and about a five minute walk to one of the most beautiful beaches in all of Cape Cod. It is in the National Seashore within an easy walk also to Gulf Pond, one of the Cape's many kettle ponds. 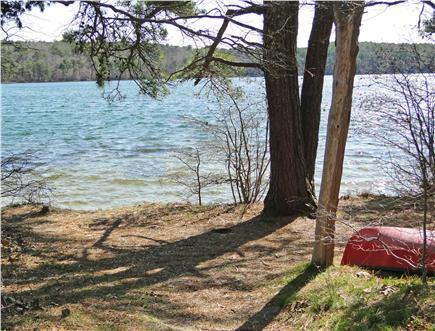 Renting our house includes private pond beach access. 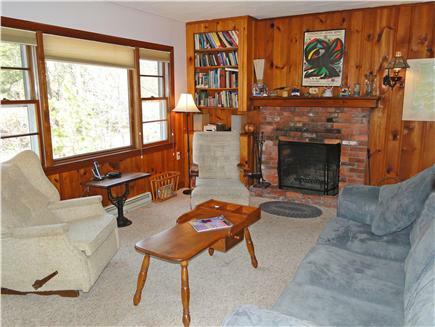 With 60's period charm, the house also has modern amenities including VCR and DVD players, CD player, a phonograph, a supply of great vinyl records (but no cable;cable does not reach this part of the Cape), new dishwasher, new refrigerator, new stove, and new washer and dryer. It is in a fairly secluded wooded area with an outdoor patio with grill, an outdoor shower, a pretty garden, and a hammock for relaxing. Wellfleet center is a ten minute drive with art galleries, shopping, great public library which is one of three culture centers of the town, two outstanding theater companies, marvelous restaurants, and a funky thrift shop. Huge flea market is 15 minutes away, open on weekends. Additional pricing info: inquire about discounts for multiple week rentals. State and local taxes of 12.45% will apply. Five or so steps lead from parking up to patio. There is a railing along these steps. The patio can also be reached by a slightly longer walk with no steps. House is one-floor only. One step into the house. 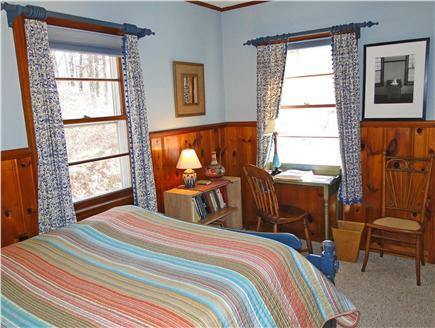 This cottage welcomes the weary & refreshes the heart. The house is clean & well-appointed, conveniently far away enough from the village, but immediately adjacent to the beach. 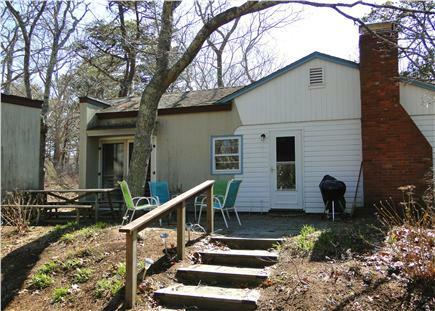 I risk tipping my hand to one of the best getaways on the Outer Cape, but I can only compliment and thank the owners for their hospitality at this great location. 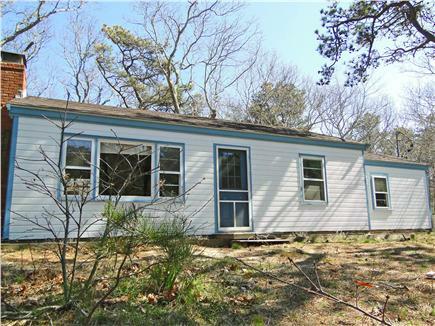 "Don't be fooled by this home's unassuming exterior - it is the perfect location for a classic Cape Cod vacation! 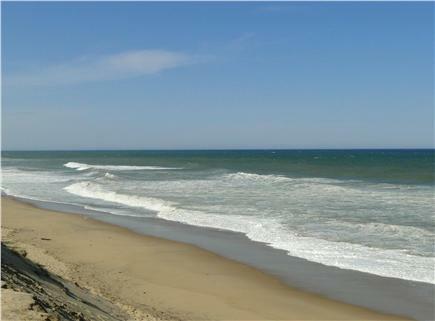 The home is literally steps away from a beautiful ocean beach (Newcomb Hollow - you can hear the waves), within walking distance of Gull Pond and an easy drive into Wellfleet Center. 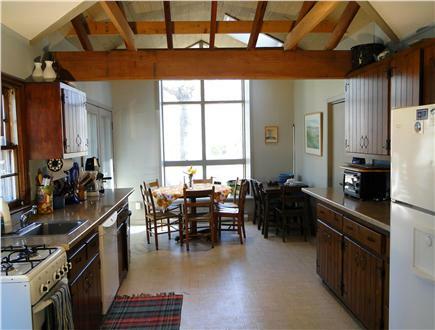 It offers all the amenities without sacrificing its rustic charm - w/d, d/w, outdoor shower, wifi and dvd player. The home also has an amazing book and record collections and the owners are wonderful."